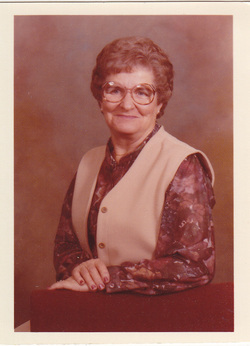 _Lorene Williams Clark was born to Larence A. and Mary Elizabeth (May) Davis Williams on April 5, 1919 in Parker County. She was the second of five children. Her siblings were Earl Williams Jones, Beulah Williams Knox, James A. Williams, Mary Williams Ford, and Pat Williams Haralson. 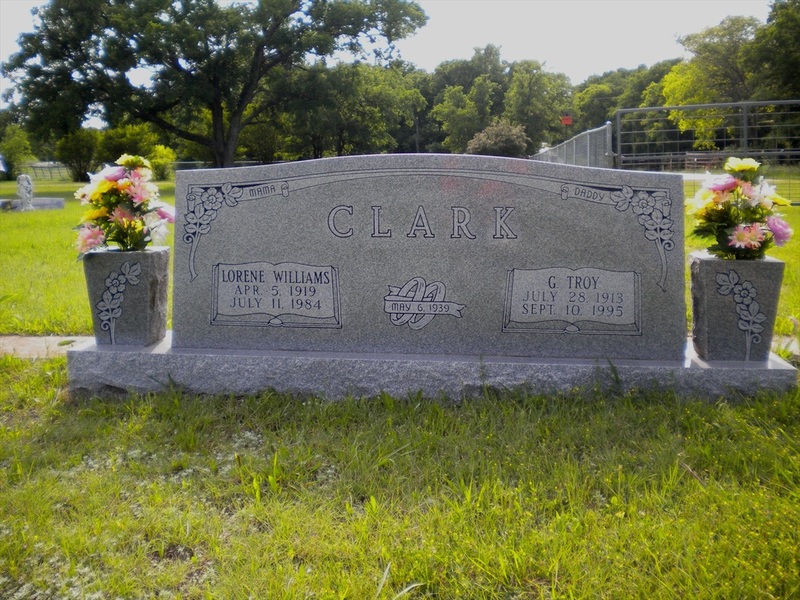 Lorene was married to G. Troy Clark, May 6, 1939 and lived her life North of Weatherford in the Friendship Community. She had three children, Ronald T. Clark, Carolyn C. Gouge, Brenda C. Rowan and 7 grandchildren, Ronald J. Clark, Cliff Clark, Clint Gouge, Trenna G. Hawkins, Rhonna D. Hollis, Randy DuValle and Robbye D Morsko. MeMama as she was known, was greatly loved by all who knew her, especially her children and her grandchildren. She was a sweet loving wife, mother and grandmother who was always there for her family. Memories of MeMama will always be shared among her children and grandchildren.